It’s been ten years since Pixar’s Oscar-winning film, Finding Nemo, was released in cinemas around the world and left us only wanting more and finally, Andrew Stanton has finally given us what we have been waiting for – Finding Nemo’s sequel. Yes, the little clown fish will be back with another journey for us to embark on but this time, he won’t be the star. Who will be taking the lead? 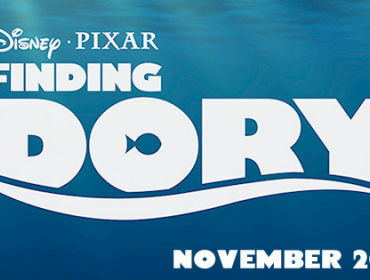 Swim forward, Dory. When Dory famously said “Just keep swimming,” back in 2003, little did she know what she was letting herself in for (not that she would remember). 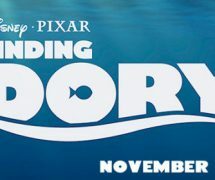 Ellen Degeneres, voice of the friendly, forgetful little blue fish revealed the details on the new Pixarfilm which will be arriving into cinemas in 2015. “I have waited for this day for a long, long, long, long, long, long time,” said DeGeneres. “I’m not mad it took this long. I know the people at Pixar were busy creating ‘Toy Story 16.’ But the time they took was worth it. The script is fantastic. And it has everything I loved about the first one: it’s got a lot of heart, it’s really funny, and the best part is – it’s got a lot more Dory. Director, and Pixar veteran, Andrew Stanton says: “There is no Dory without Ellen; she won the hearts of movie-goers all over the world – not to mention our team here at Pixar. “One thing we couldn’t stop thinking about was why she was all alone in the ocean on the day she met Marlin. In Finding Dory, she will be reunited with her loved ones, learning a few things about the meaning of family along the way,” Stanton adds. 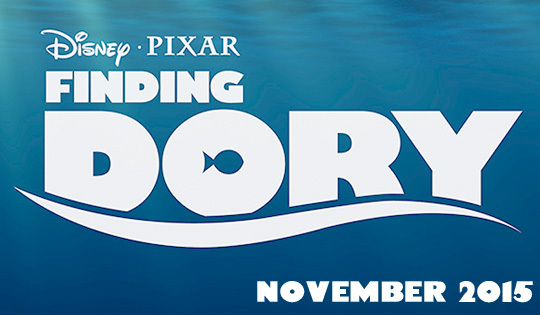 According to Stanton, Finding Dory takes place about a year after the first film, and features returning favorites including Marlin, Nemo and the Tank Gang, among others. Set in part along the California coastline, the story also welcomes a host of new characters, including a few who will prove to be a very important part of Dory’s life. I don’t know about you, but this is one sequel I’m really excited to see. What do you think?